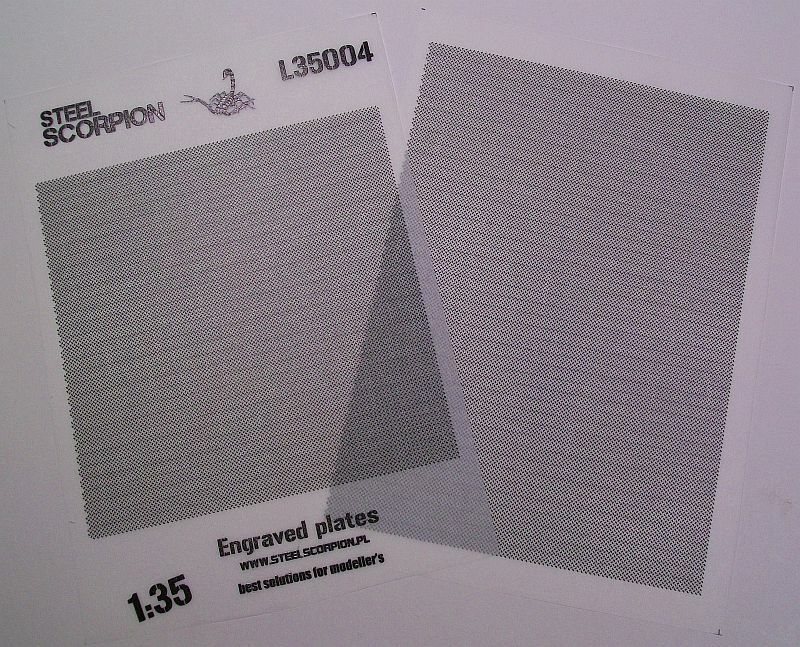 Trying to replicate "engraved plates", or an anti-slip surface on model armor takes various forms. It can be molded direct into the plastic, or provided as an aftermarket product. If aftermarket, then the possible difficulty comes in the form of adhering the material to the model. This release from Steel Scorpion actually alleviates that problem. 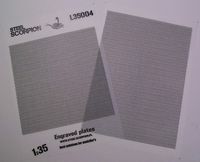 The engraved plates are a special multi-layered colored print on white, and both printed on a special plastic. Adhering the engraved plates to the model just takes liquid cement. No difficulty at all. 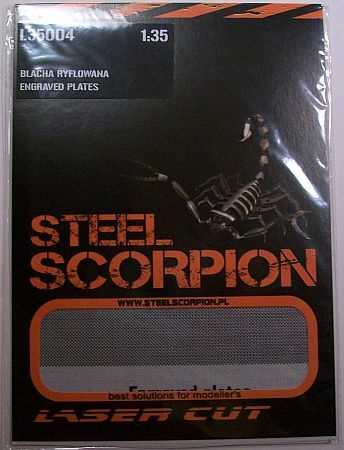 So, if you're looking for some anti-slip surface for your armor, then do yourself a favor and pick up these Engraved Plates from Steel Scorpion.